Sure, the book may not be well-written, which may have led to negative reviews and, thus, lower sales. Or, it may have a blah cover design, a boring description with no hook or, worse, an excerpt with errors in it. Or, it may have such a niche market that potential readers are more difficult to find. But, in most cases, decreased sales are due to a drastic decrease in marketing activities by the author. We see it over and over again. A book hits the market, and sells like hotcakes. Then, a few weeks later, sales level off, then decrease, and then disappear altogether. Many authors want to blame the publisher, the printer, the distributor and even retailers for their lack of book sales and some get offended when I’m honest, and tell them it’s their lack of promotional activities that has led to decreased or non-existent book sales. Authors get bored with book promotion. 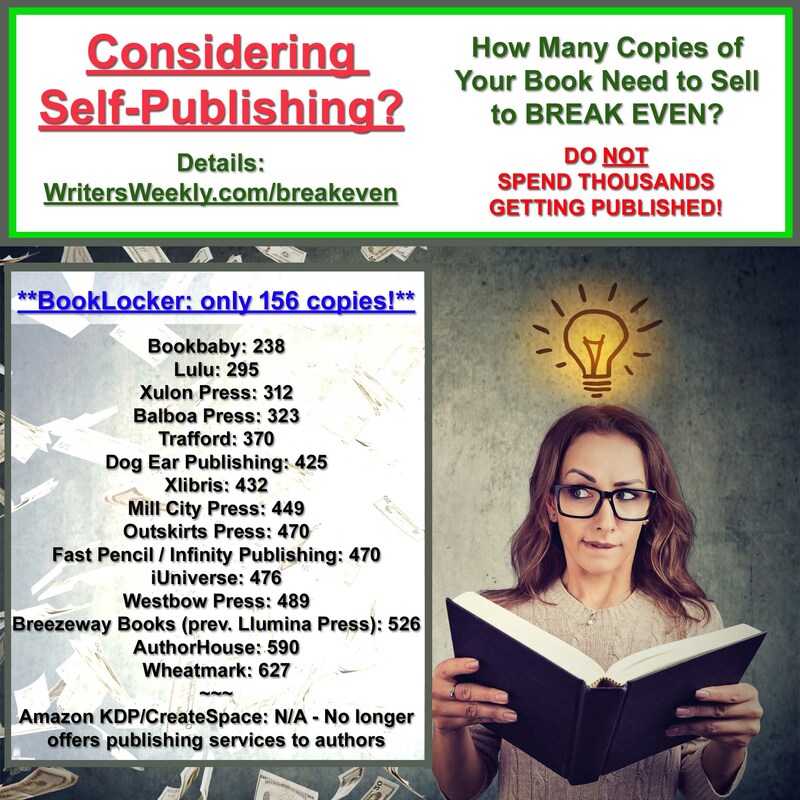 Even one week of lower sales can lead to discouragement, spurring many authors to start a new book (or watch puppy videos on YouTube, or share recipes on Facebook, or binge-watch Netflix) instead of promoting the book they already have up for sale. It’s a common misconception that putting a book on Amazon.com, the world’s largest retailer, will lead to instant and ongoing sales. That is not true at all. Not even close. With more than a million books published each year now, there’s too much competition to depend on chance sales at Amazon. In fact, unknown authors who do no book promotion can put their book on Amazon and sell no copies at all – over several years! It’s also a common misconception that impressive sales up front will mean ongoing sales of a book, despite the author’s dwindling marketing activities later. That’s also completely untrue. You can’t spin the wheel in the beginning and expect that wheel to keep spinning if you’re not constantly flicking it with your fingertips. If you build it, they will NOT come unless you stand on your virtual corner (sit at your computer), ring a bell (post original content to your website/blog and then share it on social media, via comment marketing, and more), and direct potential readers to your website, where they can see visual ads for your book(s). And, you need to keep ringing that bell! If an author is using social media to promote their book, they’re essentially hitting the same folks over and over again with that early marketing push. After awhile, everyone who wants to buy the book will already have done so. Continuing to ping the same people over and over again with advertisements for your book will only bore them or, worse, offend them (meaning fewer friends, follows, and likes). Some authors will continue to promote their book until they see sales dwindle. And, they will then grow discouraged and give up because they aren’t using creative, new ways to find new readers, new newsletter subscribers, and new social media friends and followers. Having a stagnant website (no new content) and a few social media accounts isn’t enough. There are hundreds of creative and fun ways to promote your book online, all by yourself, sitting at home on your computer. SO, WHAT’S THE BIG SECRET TO ONGOING, CONSISTENT BOOK SALES? It’s actually quite simple. 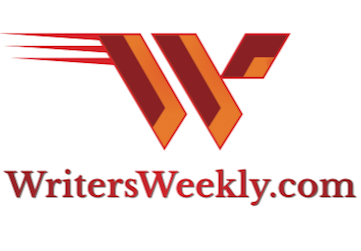 Update your website/blog daily with new, irresistible content, and then post tantalizing headlines and links to your new website/blog content on social media, in comments under popular news articles on your book’s topic, in your weekly email newsletter, and much more. 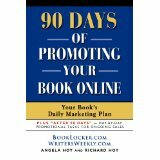 90+ DAYS OF PROMOTING YOUR BOOK ONLINE: Your Book’s Daily Marketing Plan was designed to prevent promotional burn-out for authors. You can read a free excerpt RIGHT HERE. BONUS: The ebook is half price this week only. The print edition is currently 40% off. 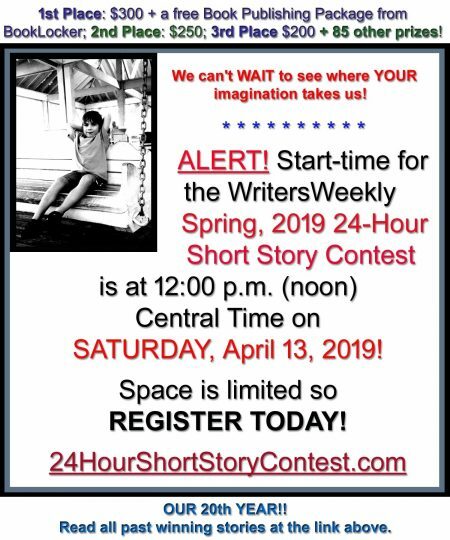 You’ve spent weeks, months, or even years writing your book. Don’t let it die a slow, agonizing death. No matter how old your book is, you can still sell copies on an ongoing basis, provided your promotional activities are aggressive and ongoing as well. Best of all, many of the methods in the book are creative and FUN. Bring your book back to life today, and make money doing so! How To Use “Comment Marketing” To Land Clients! 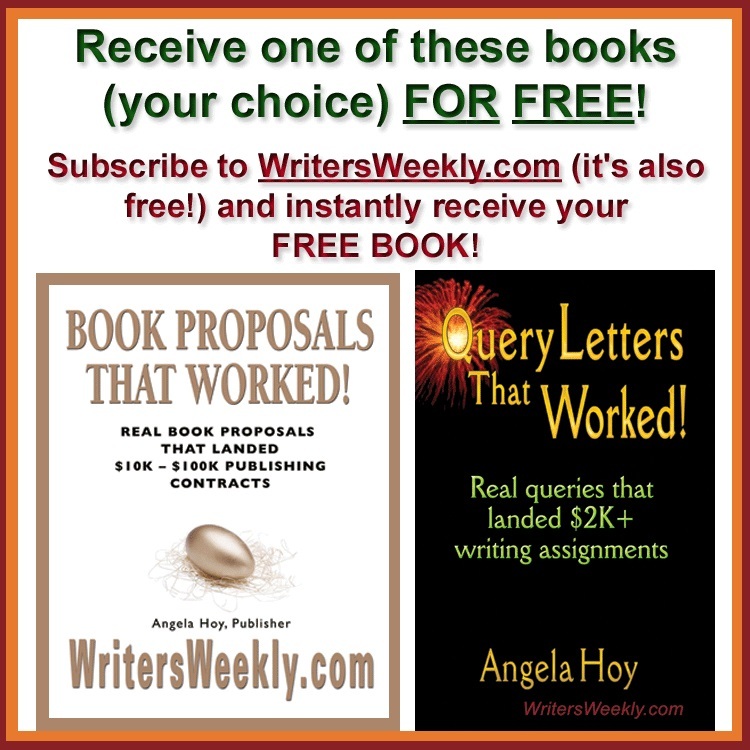 The Biggest Marketing Mistake New Authors Make! How Do I Subtly (and Effectively) Promote My Book When “Commenting” on Articles? 2 Responses to "What’s The Secret to Ongoing, Consistent BOOK SALES? by Angela Hoy, WritersWeekly.com & BookLocker.com"
Two book that have sold consistently for me are, ‘Food Fuel Fitness’ and ‘More Bio-fuel Less Bio-waste’ – Both non-fiction. The last one was published around the turn of the millennium. I was lecturing at the time until 2003 so it was ‘boots on the ground’ publicity. Both books sold very vigorously until 2013 when sales begin to dwindle. Hey, not bad for books over ten years old. Thanks, Angela, for the nudge. It is easy to get so involved with the next project that we (I) tend to ease off the peddle when it comes to promoting our (my) completed works. I need to revisit my copy of your excellent book 90+ DAYS…! Cheers!